In general, the use of a CFD-tool is no guarantee for accurate or valid predictions, as the quality of the output strongly depends on the input and the models implemented. Since FLACS is utilized for calculations where accuracy is very important, Gexcon considers the validation of FLACS to be a top priority. Considerable efforts have been expended to validate the various models of FLACS. Many CFD models have calibration parameters, or the possibility to choose from many different turbulence models, which may strongly influence the predictions. Gexcon provides the user with the appropriate methodology to eliminate such inaccurate modifications. 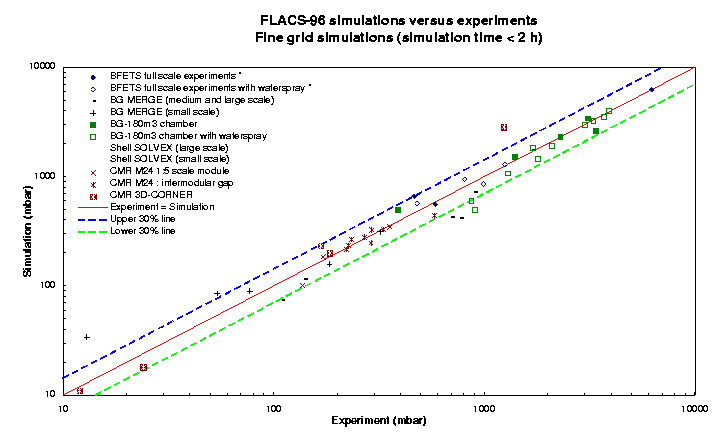 The reliability of FLACS simulations is based on the extensive validation efforts and necessary user guidelines. Since 1980 numerous explosion experiments have been performed by Gexcon in collaboration with other groups to further understand explosion phenomena. 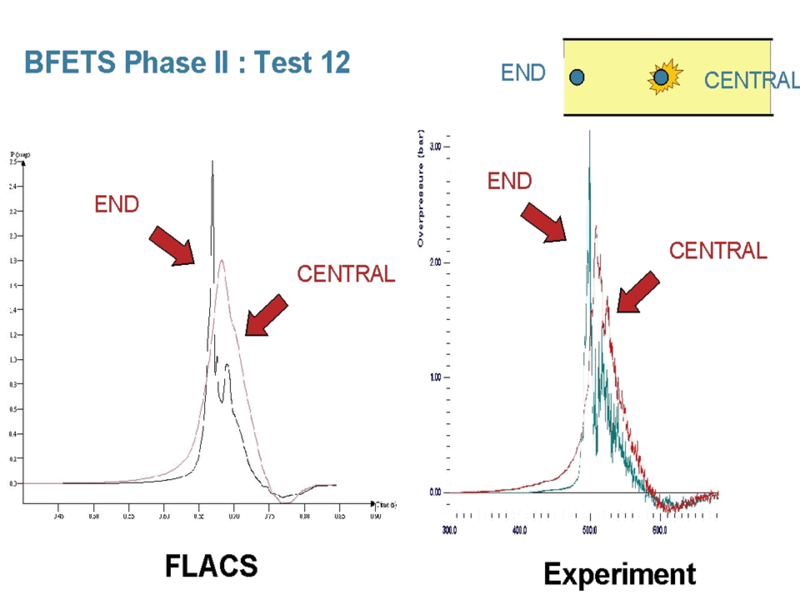 Gexcon used these experiments for development and validation of the FLACS explosion models. The image below demonstrates the FLACS simulation compared to the actual explosion experiment. Below are plots from the early validation studies. Due to competition with other softwares in the 1990s, validation efforts in the early years were only made available to sponsors of the FLACS development. In recent years there has been a much more open policy on this, and a number of papers have been made available on validation in the field of atmospheric dispersion / LNG, dust explosions and hydrogen safety. 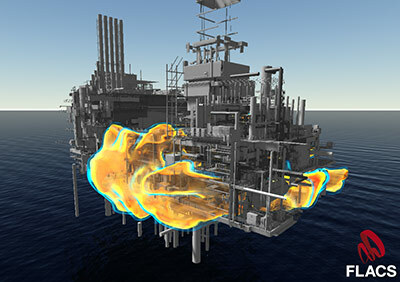 Below is an example comparing simulation and full-scale explosion experiments in the Advantica Spadeadam rig. For the validation work more than 30 pressure sensors are available for each of the more than 50 fullscale experiments. Below is a plot of early validation studies showing how simulated pressures compared to experimental pressures for a range of different test configurations.